Originally built and registered new to Pickfords on the 12th of January 1950 FG Foden S18 6x4 Reg No HGB 631 was purchased second-hand in 1955 after de-nationalisation. 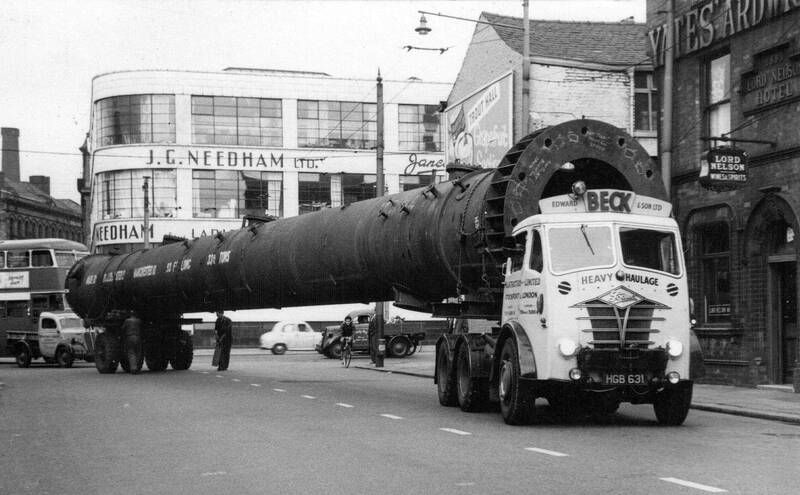 With 6x4 drive, an unladen weight of 14 tons and a top speed of 12 miles per hour it served Beck's well for many years. 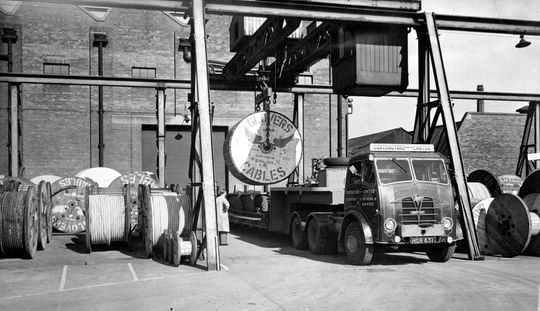 As can be seen in this gallery the vehicle was at first operated in its original Pickford's livery for a time before being given a Contractors Manchester livery in 1956 finally receiving an Edward Beck & Son Ltd livery in 1958. 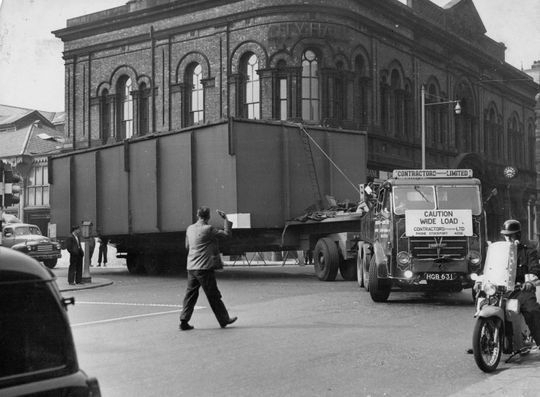 Foden S18 6x4 ballast tractor, Reg No HGB 631 makes it's way up Liverpool Road towards Deansgate in Manchester in 1955. Today the building on the right houses Manchesters 'Museum of Science and Industry. 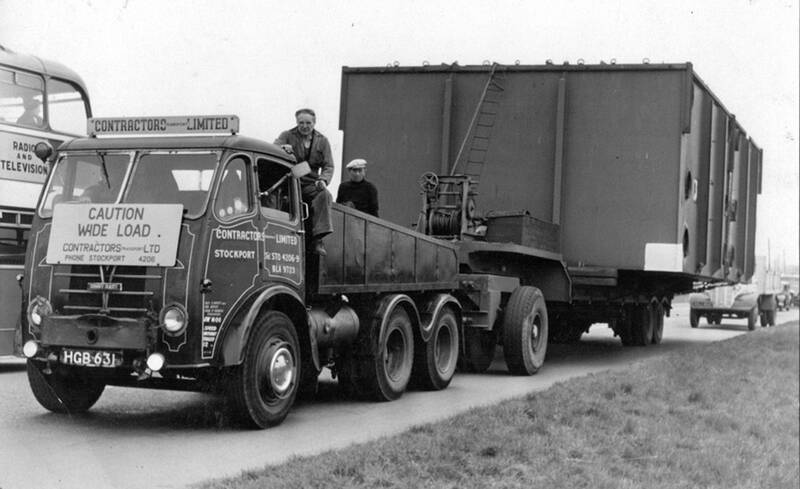 Pictured on the Foden are from left to right Len Etherington, George Holloway (driver) and Jack Daintey. 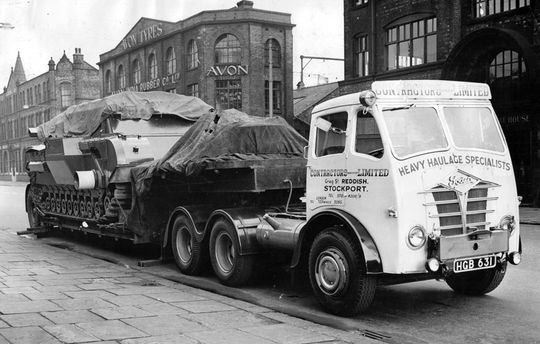 Foden S18 6x4 ballast tractor Reg No HGB 631, still in it's original Pickfords livery, is seen here hauling one of the many purpose built trailers that Edward Beck built in house at their own extensive workshops in Stockport. Another shot showing Foden S18 6x4 ballast tractor, Reg No HGB 631 negotiating a right turn at the junction of Liverpool Road, Deansgate and Great Bridgewater Street in the centre of Manchester in 1955. FG Foden S18 6x4 ballast tractor, Reg No HGB 631 is now on the outskirts of Manchester hauling the wide load seen in the previous pictures. 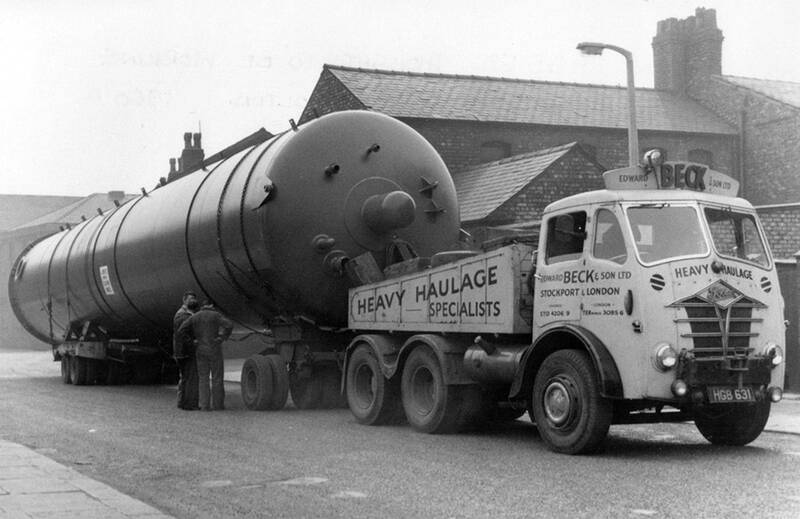 The driver is George Holloway, mate Jack Dainty and wearing the white cap is another of Beck's drivers Len Etherington who had previously worked with Edward Beck at Thomas Nield & Son Ltd until 1948. 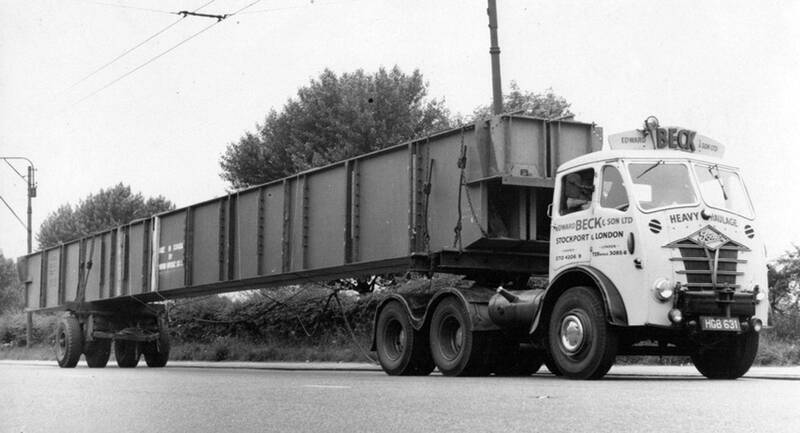 FG Foden S18 6x4, Reg No HGB 631 was also utilised as a heavy duty tractor unit when its ballast box was removed. 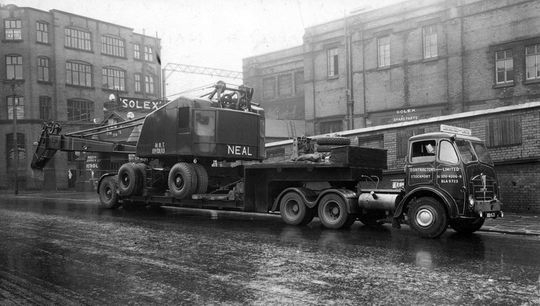 It is seen here parked on Whitwrth Street in Manchester loaded with a Neal crane. FG Foden S18 6x4, Reg No HGB 631 is parked beneath a crane gantry while loading up with drums of electric cable at the premises of W.T. 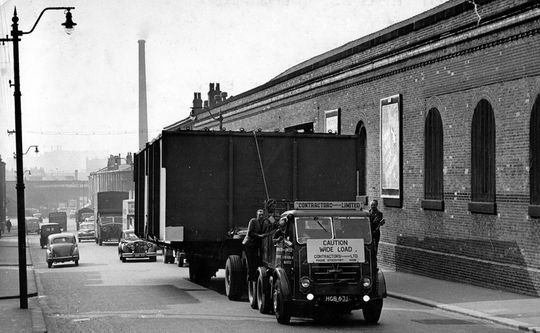 Glover & Co Ltd Trafford Park Manchester. 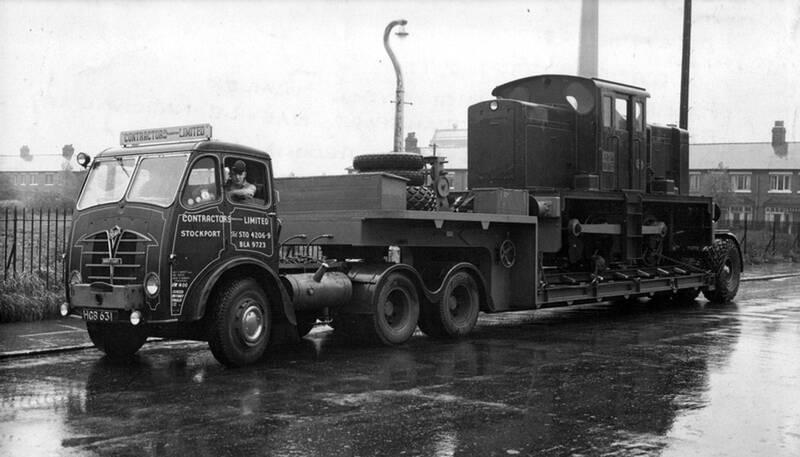 A young Teddy Beck takes time out for a photograph in FG Foden S18 6x4 heavy duty tractor Reg No HGB 631. Seen here in 1955, later that same year it would go into the company's paint shop and receive the familiar Edward Beck & Son Ltd livery as can be in the picture below. 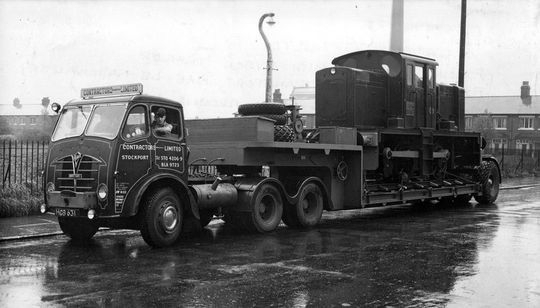 The locomotive on the low-loader is AMW No 167 an 0-4-0 built by J. Fowler of Leeds in 1939 for the RAF which operated for a time at No.7 Maintenance unit RAF Quedgeley in Gloucestershire and latterly at the former flying boat base at RAF Pembroke Dock. Fresh out of the paint shop, after receiving its striking Beck 'Parsons Primrose Yellow' livery in 1955, ex Pickford's FG Foden S18 6x4 heavy duty tractor unit Reg No HGB 631 is seen here parked on Whitworth Street in Manchester. 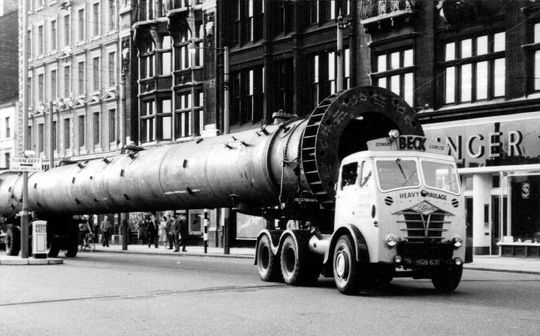 Below are series of photographs taken in 1958 showing FG Foden S18 Reg No HGB 631 hauling a load through the centre of Manchester destined for Port Talbot in South Wales. The 110 foot long 33 ton steel vessel was manufactured by R & J Dempster of Manchester. The first of six pictures shows FG Foden S18 6x4 heavy duty tractor unit Reg No HGB 631 heading down Oldham Road Newton Heath hauling a 110 foot 33 ton steel vessel destined for Port Talbot. In this second photograph we see FG Foden S18 Reg No HGB 631 making a right turn off Great Ancoats Street on to Newton Street in the centre of Manchester. The building in the top left of the picture was the Daily Express printing works. After making the right on to Newton Street HGB 631 heads down towards Piccadilly in the centre of Manchester. At the bottom of Newton Street HGB 631 turns on to Piccadilly in the centre of Manchester. 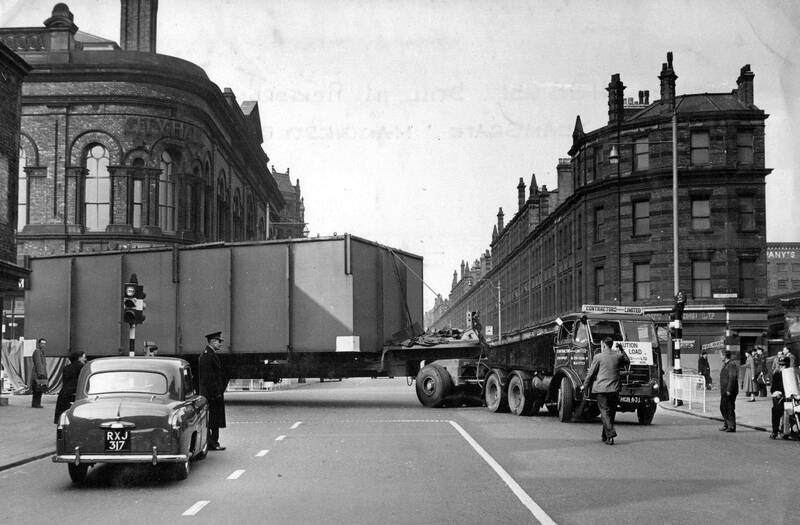 In those days there was no alternative route for heavy vehicles to avoid Manchester city centre as the M60 orbital motorway and A57 (M) Mancunian Way Manchester by-pass did not exist at that time. 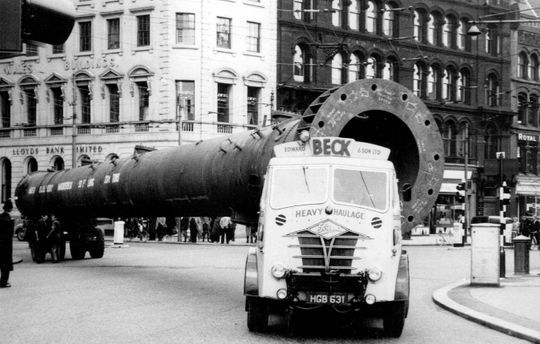 A rear end view of the load 110 foot long load after turning on to Piccadilly in the centre of Manchester. In the final shot of the series FG Foden S18 Reg No HGB 631 leaves the centre of Manchester and heads down Portland Street and out of the city and onward towards it's final destination of Port Talbot in South Wales a distance of 224 miles. 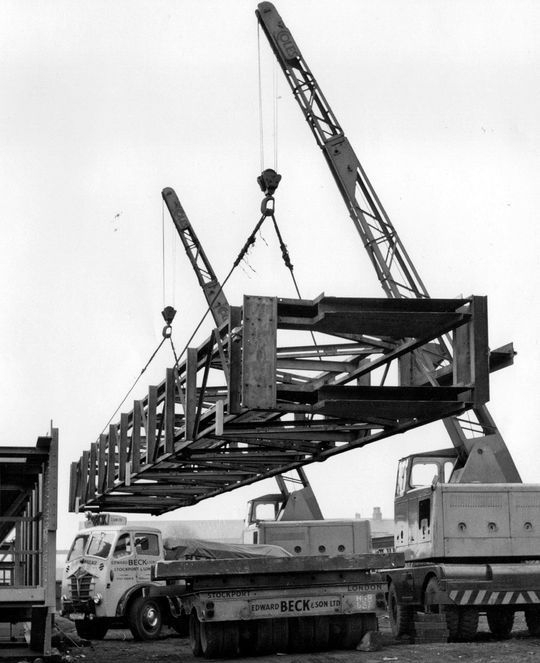 The first of two pictures taken in 1960 showing HGB 631 as it was being used a prime mover with its ballast box attached. 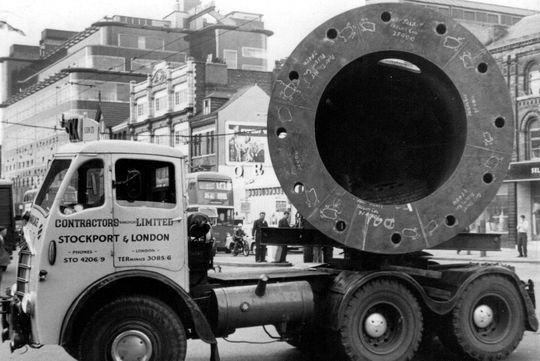 The large steel vessel had just been collected from Robert Watson Steelwork Ltd of High Street Bolton. 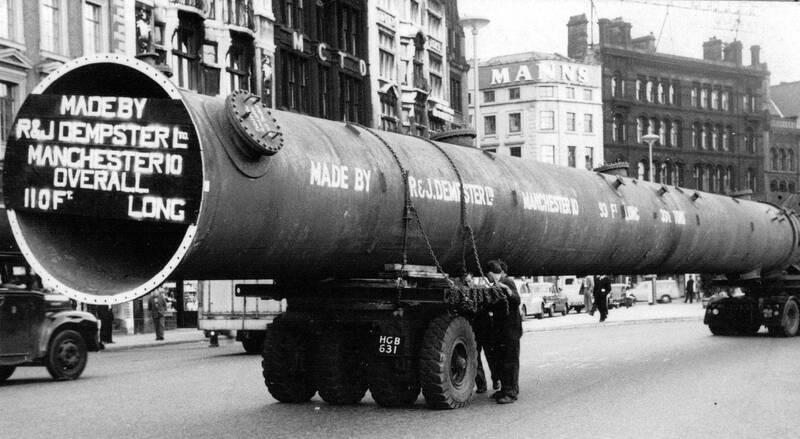 Another shot of HGB 631 taken in 1960 after it had collected a large steel vessel from Robert Watson Steelwork Ltd of High Street Bolton. 1961 and 6x4 FG Foden S18 Reg No HGB 631 is seen here in the thick of it while loading up at the premises of the Wharton Crane & Hoist Co Ltd Reddish.